Finland should make a clear distinction between economic and humanitarian immigration and adopt an economic immigration programme similar to that of Canada, states Timo Harakka (SDP). “Labour availability consideration is even more common in Canada than Finland, but the country has established a fast lane for obtaining work permits. When you meet the requirements, Canada welcomes you,” he states in a press release. “For Finland to become an alternative, we should invest in attracting talent and creating the right environment,” he adds. Harakka, who is the budget and finance spokesperson for the Social Democratic Parliamentary Group, reminds that the share of the working-age population is projected to decrease by five percentage points in Finland by late 2020s. He also questions the policy approach of the government of Prime Minister Juha Sipilä (Centre). “It is absolutely incomprehensible that while the government is clamouring for tearing down the labour availability consideration process, it is not reducing the unreasonably long waiting times of 3,000 employees by increasing the staffing of the TE Offices,” he states. The Finnish legislation stipulates that employment-based residence permit applications should be processed in four months. Currently, however, the processing times can be as long as over a year, especially in southern parts of the country. “The Canadian model would be needed also to integrate foreign students into the society, because Finland is presently wasting the labour inputs of students graduating in Finland. [The Centre for International Mobility] CIMO’s statistics show that more university graduates left the country than found employment over a year-long period,” highlights Harakka. 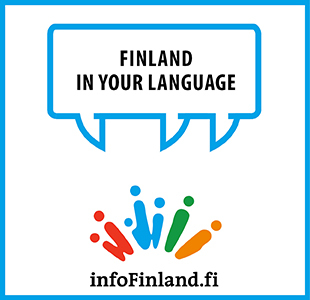 “If the number of foreign students graduating doubled, along with their employment rate, we would get 4,000 more of the best talents into the working life – people who are already in Finland, who have adapted to life in Finland and who have the language skills needed for daily life. This has to be the objective of the next government, the result of a controlled economic immigration policy programme,” he stresses.